Here’s another part of the guide to measuring the efficiency of a content marketing strategy. Part 3 – Key SEO metrics and KPIs you should be looking at. 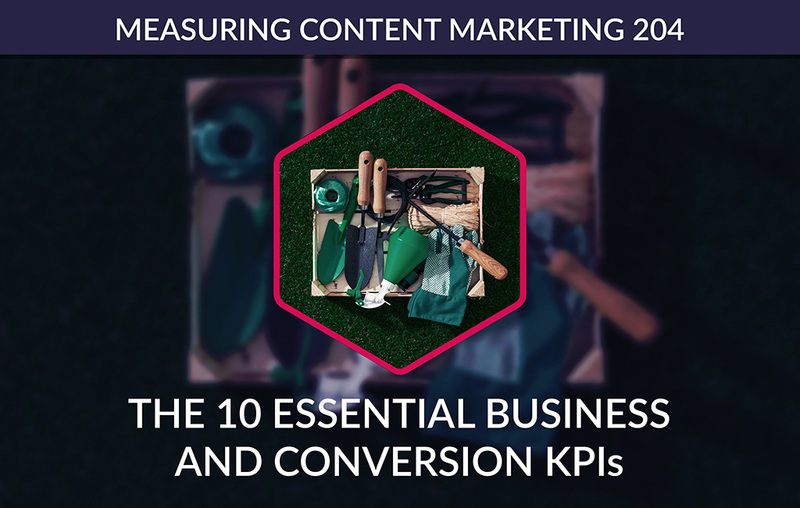 In this part, we delve into the next batch of content marketing KPIs: the ones are related to business and conversion. Content marketers can track many different metrics. But tracking data is the easy part. What’s more challenging is pulling the insights out of it. That’s why we prepared this guide to help you get the big picture view of business conversion metrics and help you determine the best KPIs to track and ensure that your content marketing strategy relates to your key business goals. Ready to learn which business and conversion KPIs will help you make more informed decisions? Let’s dive in. Revenue is the total amount of money that your business brings in. It refers to your gross revenue – that is everything you earn before expenses. It’s the lifeblood of your company. When tracking revenue, it’s best to bring sales and marketing teams together. When they’re aligned, you’ll get plenty of benefits and boost your the bottom line. After all, it’s not only sales that drive revenue but marketing as well. But how to track revenue? To get data about revenue, it’s enough to set up ecommerce tracking in Google Analytics. It will tell you everything you need to know about the money flowing into your company. Note that revenue is an important metric, but it’s only one of the KPIs you should measure for content marketing. The truth is that on its own, revenue doesn’t tell you that much. That’s why you need to combine it with other metrics we cover below. Let’s start with defining this metric. Conversion rate refers to the number of visitors who have completed a goal on your site. That objective can be anything from making a purchase to signing up to a newsletter. The higher the conversion rate of your pages, the more successful your content marketing campaigns. 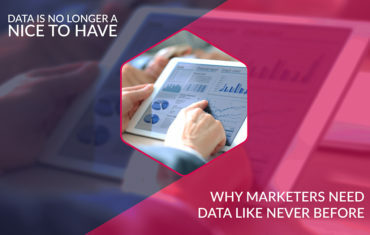 The conversion rate is closely connected with marketing tactics under the umbrella term of conversion rate optimization. We’re talking about things like A/B testing that help to optimize a site to drive conversions. For example, if your site has 10,000 visitors and 100 of them completed the goal, your conversion rate is 5%. Let’s start by explaining what cost per acquisition (CPA) actually is. Cost per acquisition is nothing else than the price you pay to acquire the customer. It’s a bit like the conversion rate, but with the CPA, you can measure the direct impact of content marketing on revenue. For example, if you’re using CPA for your AdWords campaign, expect that the CPA is higher than your cost per click (CPC). Many businesses out there use CPA as the determining factor in deciding about the direction of their content marketing campaign. Reducing cost per acquisition is one of the most critical goals for a business. Lead generation is what happens when you attract and convert potential users of your product into purchasing customers. We can talk about a lead as soon as the consumer enters the buying journey. Lead generation is critical to business success. But how do you get leads from your site? First, you need to get traffic. If you increase your monthly website traffic, the chances are high that you will also boost the number of generated leads. So how do you track lead generation? Your first step is setting up goals in Google Analytics. Without that, you won’t be able to see how your site content is performing – in the sense of how many users it inspires to complete the goal set on your site (it can be anything from signing up to an email newsletter or making a purchase). The customer retention rate refers to how long you’re able to keep your paying customers over time. According to the Harvard Business Review, it costs from 5 to 25 times more to gain a new customer than it does to sell to an existing one. If there’s one thing we all know for sure is that loyal customers tend to spend more money than new ones. And it doesn’t matter where your revenue is coming from. The important thing that is flowing in. That’s why loyalty programs have been so popular among businesses across all industries. Take Amazon as an example. Amazon Prime members spend on average $1500 per year on the platform. Now compare that to the $625 per year spent by customers who aren’t members. So how do you calculate your customer loyalty retention rate? Customer churn rate offers the best way to measure that. It will give you hard data you can use to understand whether your customers are happy with your product or service. If you see a high churn rate, your product or service probably doesn’t meet the needs of your customers as well as it could. Another useful business metric you should keep your eyes on is the average order value. It basically refers to the average amount of money spent each time a customer places an order and makes a purchase. It’s about calculating sales per order instead of sales per customer. Did you know that increasing the average order value is easier than increasing the conversion rate? That’s because it’s much easier for a business to convince the existing customers to buy more from you than it is to gain brand new ones (that follows on our previous point). For example, if I order three books that cost $10 each, my average order value is $10. This important metric refers to the total revenue your business makes from a customer. One of the biggest reasons why companies fail is because their customer acquisition costs are much higher than customer lifetime value. If you want to see a perfect example of optimized lifetime value, you don’t need to look further than Netflix. The average Netflix subscriber stays with the service for 25 months. Their total lifetime value is $291.25. This formula predicts how much money you will make during a specific period of time. For example, if it costs you $200 to acquire a new customer, you need to create a plan that ensures you make that $200 back from the customer. Return on ad spend refers to a metric that gives marketers a better idea about their spendings on advertising campaigns. 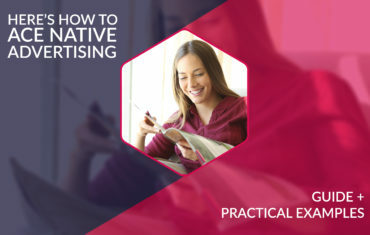 If they spend a given amount on an advertising campaign, they need to make sure that they receive at least the same amount back in increased revenue. As a general rule, it’s good to consider a positive ROA rule of thumb: for every dollar that you spend on advertising, you should get 3 dollars back. However, the return on ad spend also depends on other factors (like your industry). For example, let’s imagine that you spent $5000 on Google AdWords. Customers started clicking on your ads, and as a result of these clicks, you’ve earned $10,000. Your ROA will be $10,000 – $5000, divided by $5000. Your ROA is 100%. Return on investment is the king of all business-related metrics. We have already looked at this critical metric in the first part of our guide to measuring content marketing. ROI why helps marketers to prove that their activities impact the bottom line of the company. It also helps to determine what is really worth investing in when planning their marketing budget. However, it’s not easy to calculate ROI in marketing. Why is that? Simply because the $5 you spend today may not bring a return for the next couple of years. Knowing that marketing ROI takes time to boom, it’s still an important metric that you should take into account. For example, let’s imagine that you bought an ad for $100. You track your conversions carefully and learn that thanks to those ads you’ve gained $200 back. Your return on investment in this case is 100%. Measuring business metrics and KPIs is critical to your content marketing strategy. Reporting on these metrics accurately will help you get buy-in and continual support from senior executives at your company. 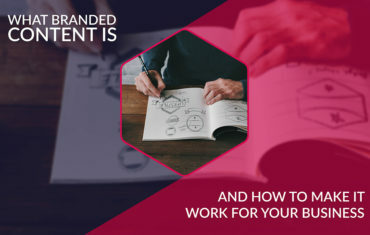 It’s simple: if you show that content marketing is a good investment that brings a tangible ROI, executives will keep investing in it and perhaps even increase your budget over time. Do you have any questions about measuring business-related metrics? Please share your questions in the comments section; we’d like to start a conversation about the best practices in content marketing measurement.